Manco 9438 Super Deuce Timing Belt. Aftermarket Belt 9438 for Manco Super Deuce Go Kart. Manco 9438 Super Deuce Timing Belt. Belt 9438 for Manco Super Deuce. 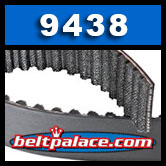 Replacement Manco 9438 Super Deuce Timing Belt. Heavy Duty, High Quality Aftermarket Belt 9438 for Manco Super Deuce Go Kart. 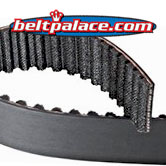 Heavy Duty Timing belt replaces Manco Part 9438 for Go Karts, off-road buggy. *NOTE*: This IS NOT the drive belt for the CVT. This belt is the Timing belt for the jackshaft/axle. See our selection of CVT/Go Kart Drive Belts Here!.